The Köln Machinations is available now as a PDF. Hardcover and softcover versions will follow soon. It's 1610. All of Europe teeters on the brink of war. The Köln Machinations is a Clockwork & Cthulhu adventure for 4-8 adventurers, set in The Rhine River Valley in The Holy Roman Empire, in the Year of Our Lord 1610. 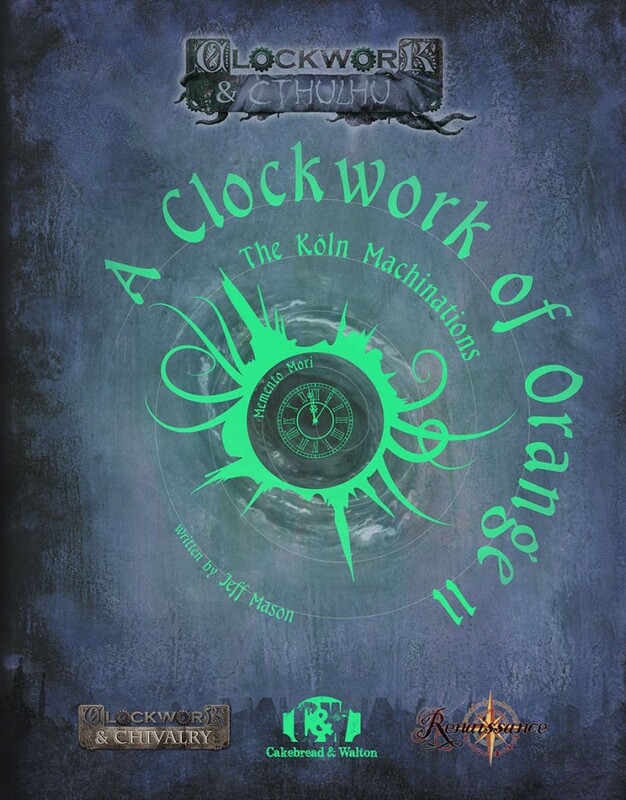 The Köln Machinations is the sequel to The Heydelberg Horror and part of the A Clockwork of Orange campaign. Requires the Clockwork & Chivalry Core Rulebook, 2nd Edition, to play. Never has a link been clicked so fast.